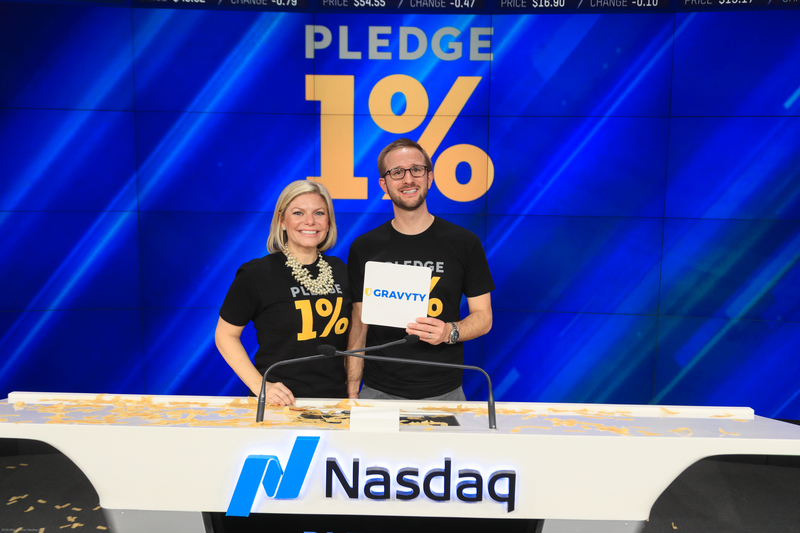 Gravyty CEO, Adam Martel and Director of Customer Success, Lisa Alvezi, rang the Nasdaq 'opening bell' to raise the call for #GivingTuesday. Gravyty and iWave announced a strategic partnership designed to power artificial intelligence (AI) for the fundraising industry with robust fundraising intelligence data. 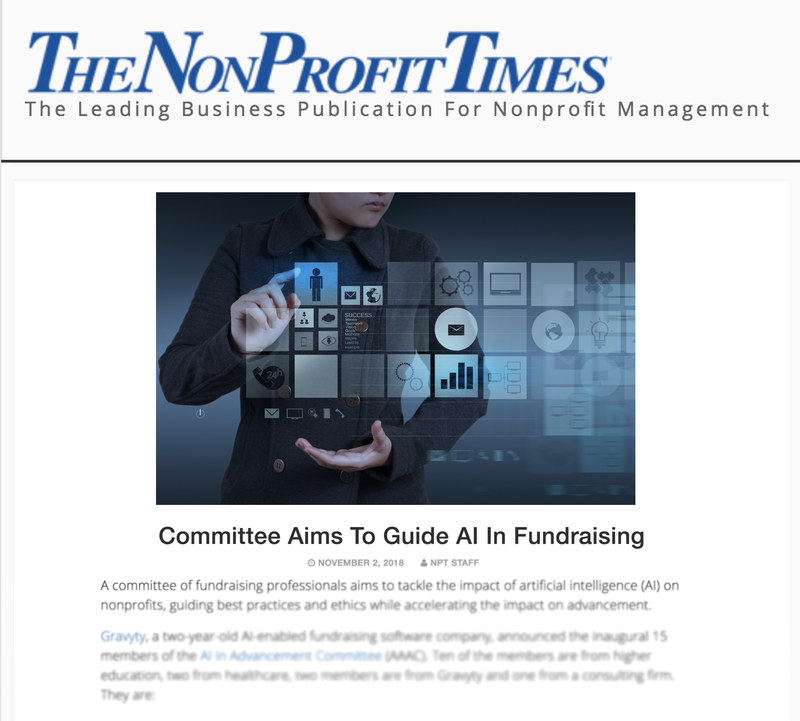 The NonProfit Times covered the establishment of the AAAC, bringing the world's most forward-thinking leaders, technologist, and Advancement experts together. Gravyty, the first provider of AI-enabled fundraising software for Advancement, was named the winner of the 2018 "Rising Star" award from Ellucian, the leading provider of software and services built to power higher education. Cecelia Poplin is Vice President of Nonprofit Sales at Gravyty. In her role, she helps organizations empower fundraisers with the revolutionary power of AI technologies. 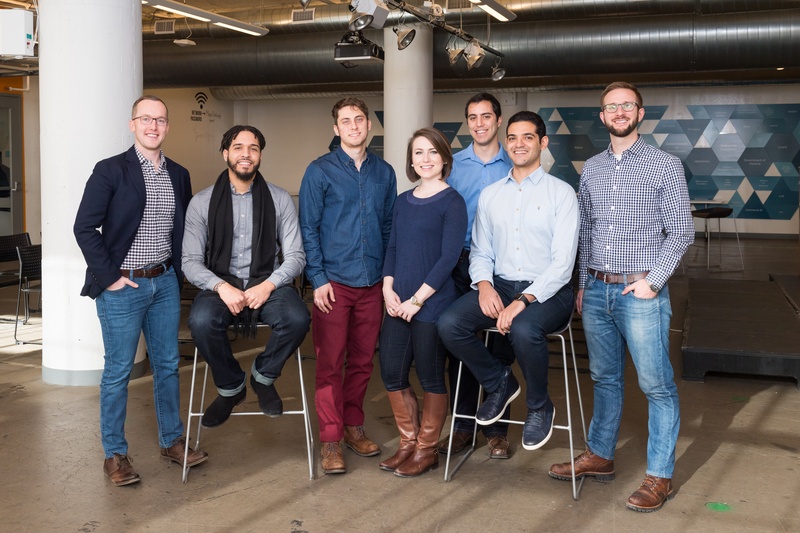 Gravyty Stewardship is the social good industry’s first AI product developed to help frontline fundraisers thank donors today, and cultivate them for future giving. The solution is now available through Gravyty’s complete suite of AI-enabled products. Gravyty Featured as the #1 'New Fundraising Ideas that Worked' in the Chronicle of Philanthropy!